The best way to promote any website is social proofs or testimonials given by the customers. 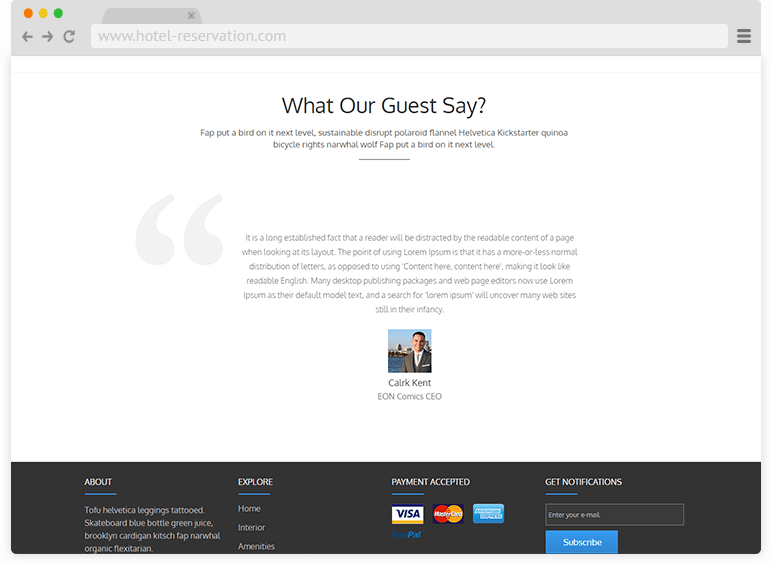 With our qlo system you can display the testimonials given by the customers on the landing page. Users always want proofs to feel secure while spending money on anything and that is why they look for other customer reviews. This will increase customer confidence in your hotel and will increase the search engine optimization of the website.